With the year coming to an end, I am starting to think about the New Year. 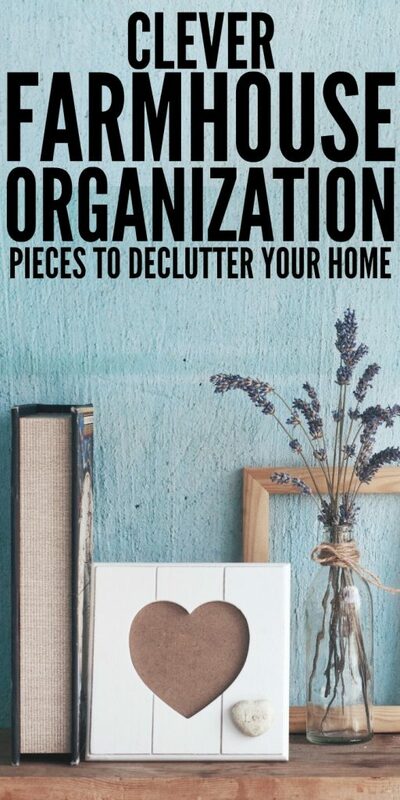 I love to declutter and really work through each room in the house and get rid of things that are collecting dust. Doing this helps me feel like I am starting the new year off right. I have some really fun farmhouse organization pieces you might want to add to your home if you like Chip & Joanna’s style. Once you get your home rid of things you haven’t touched in a year, you can then move on to organizing your house with farmhouse organization and storage pieces to really clean up your home while also adding charm. I love that our house feels like a cozy home. These are great for storing items in any room. Whether you want to store toiletries and beauty goods in the bathroom, some of your kid’s toys in their playroom or in the kitchen, these baskets are so versatile. This organizer has little drawers to stash your makeup as well as containers for your makeup brushes and more. I’m a fan of galvanized metal and this farmhouse organization piece stole my heart! You can hang this up and use it for storing magazines, your favorite cookbook, and it adds charm to your room. Mason jar fans will love this one. You can use this to put your cotton balls, q-tips and more inside to free up space in your cabinets. Store items on the shelves themselves or buy foldable bins to fit in them to hide items. If your kids are always losing their homework, this is for you. You can add the first letter of each child to one designated cubby, and they can store their items in there. Or use it for hanging fun pictures they paint, your mail or more. 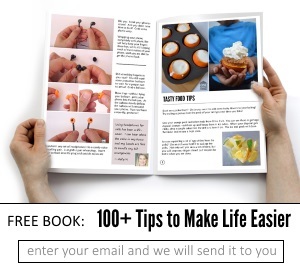 Place this on a kitchen counter or entryway table and drop the mail in so that it doesn’t get scattered everywhere. These would be perfect storage for your child’s playroom or bedroom! I love the fun prints on the front! Whether you store hats, scarves, and other items by the front door, this will hide the items you don’t necessarily want on display. It is such a pretty statement piece as well. Give those coats, hats, and other outdoor items a home and keep the floor less cluttered! It even has a spot on the bottom to put some bins or toss your shoes or book bags. I love the farmhouse style of this laundry basket. You can tuck this into a closet to keep it out of sight. Use these baskets to store random items and add some charm and style to your home. What is your favorite farmhouse organization piece on this list? Want more decluttering ideas? Check out these fun posts.